In an effort to completely automate my business (or at least greatly reduce my work), I’m trying out the process of integrating Podio with Google Voice. I want to automatically have a lead created when I get a voicemail. It’s a simple process and requires no other services (i.e. zapier, globiflow,etc). You basically just forward your Google Voice messages to your Podio App’s email address…Yup it has one. Actually each App has a separate email address. Below I’ll walk you through the process of setting this up, validating the email address and taking a look at a Voicemail record that was created. 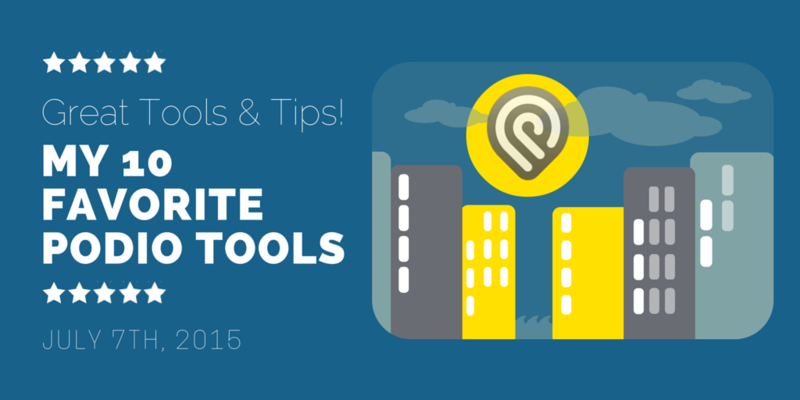 In this video I show you all the steps required to forward your Google voicemails into Podio. It’s a simple process but there are a few small details that may not be obvious. 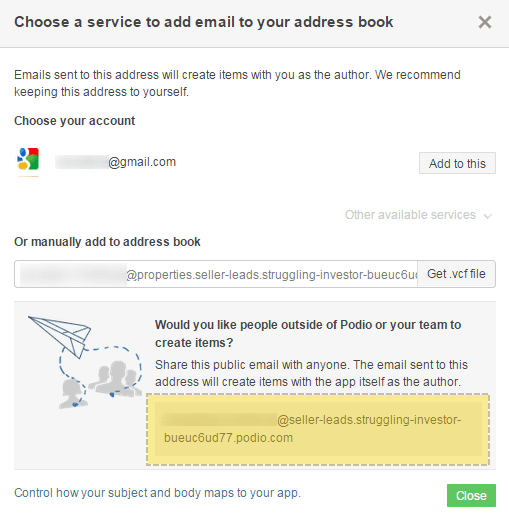 Go to Podio Workspace where your CRM is. Open the APP where you want to voicemail to be forwarded too. (Mine goes to my Properties App). The Email to App window will be opened to you know. There are actually 3 email addresses presented to you. You’ll want to grab the one at the bottom that I have highlighted. The App’s email address is now in your clipboard. I suggest you do one more thing before before going to Google Voice. 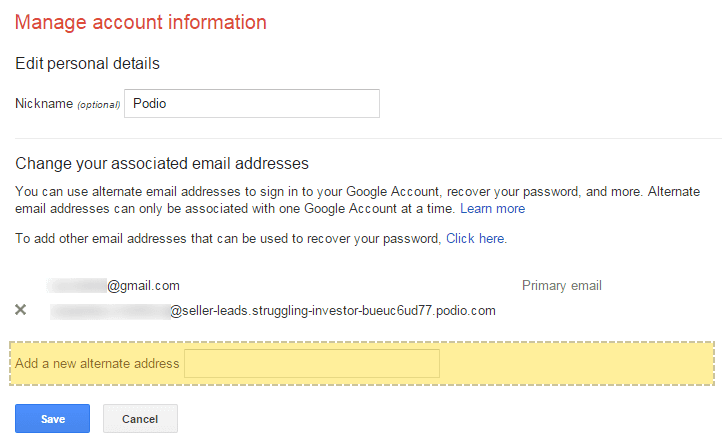 That is to tell Podio which fields you want the Subject text and Body text of the email coming from Google Voice to go. You’ll do this by clicking on the Control how your subject and body maps to your app link at the bottom of the Email to App window. A new window will appear showing you a Mail Merge type of setup. You will see a list of all your App’s Fields with a drop down next to it. Find the field you want to place the Email Subject in. Select Subject from the drop down. Find the field you want to place the Email Body (transcribed Voicemail message + link) into. Then select Email Body from the drop down. I put the information in the Address and Voicemail Message fields. Now that we have everything setup in Podio and have gotten the App email address, we can go to Google Voice. 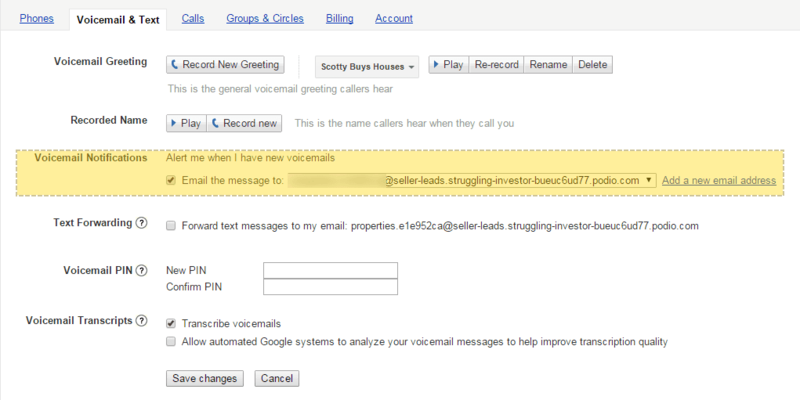 Go to Google Voice and then browse to the GV Settings area. To do this you’ll click on the Gear icon in the upper right. Then click on Settings. The Google Voice settings window will open onto the Phones tab. What you are looking for now is on the Voicemail & Text tab. From there you’ll be looking at the Voicemail Notifications info. I forget what this looks like if you don’t have an email address there already. Either way you’ll click Add a new email address. Click on the record to view it’s details. Scroll to the field that you selected to get the Email Body. Click the verification link in the text. You are all set and ready to go. Nothing else to do besides wait for your next voicemail. 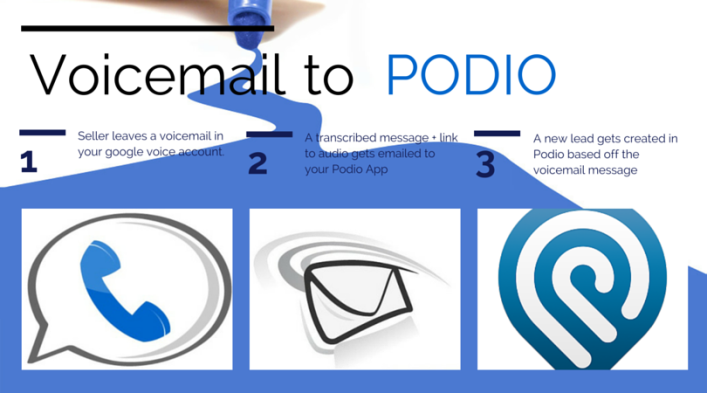 Sit back and watch as your Google Voice voicemails will now be sent to your Podio App. Let me show you what they will actually look like. The bottom two (highlighted) records are new voicemails I got today from my Google Voice number. The subject reads New Voicemail from <callers number> at <time of call>. The transcribed voicemail (+ link to audio) is placed in my Voicemail Message field. Here is what it looks like in my voicemail message field. 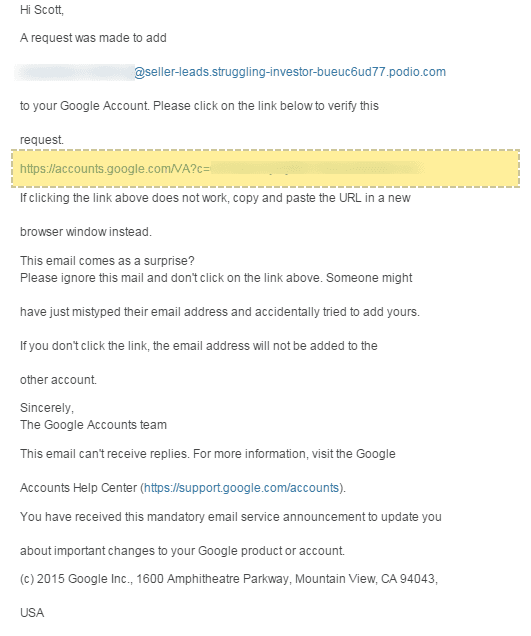 When you click on the Audio link in the text it will bring you to Google Voice to play the message. The good part about this is that anyone who has access to this Podio App Item can hear the audio. They don’t have to have access to my Google Voice Account. Setting this process up does save me some time and a few clicks. That’s what it is all about right? With that said I don’t really get the warm and fuzzies with this process though. I still have to go into the Podio record, click the audio link to hear the message and manually enter in the data. I only get a few phone calls a week so this really isn’t taking up to much of my time. However I still can’t get to this right away…meaning that I can’t forward the lead info to my partners as soon as i would like. The ideal scenario here is to have a Virtual Assistant who could do this for me. Not ready to do that just yet though. Great post. I have been searching for a way to do this. I am going to implement this today. are these settings still the same now? I believe they are. Do you see something different? Thanks for the update Joe!